A deer can lose its hair due to disease, parasites or through a natural process. Sometimes the hair grows back and the deer is no longer affected, but it may die when hair loss is caused by a serious disease. 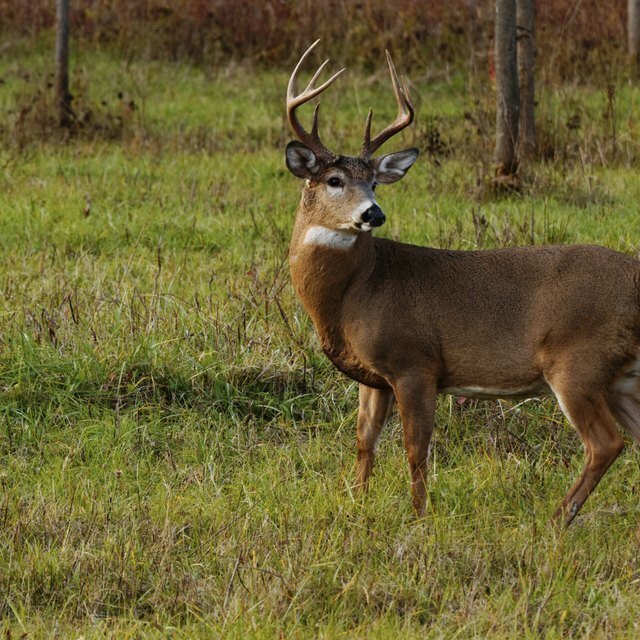 Deer hair loss syndrome (DHLS) causes a deer to lose its hair for unknown reasons. At first, a deer may have dark or almost black patches of hair, but then the hair may turn yellow or white or the deer may have bare patches of skin. “In the later stages, a deer can be very thin and lethargic, with excessive loss of hair,” according to the Oregon Department of Fish and Wildlife. 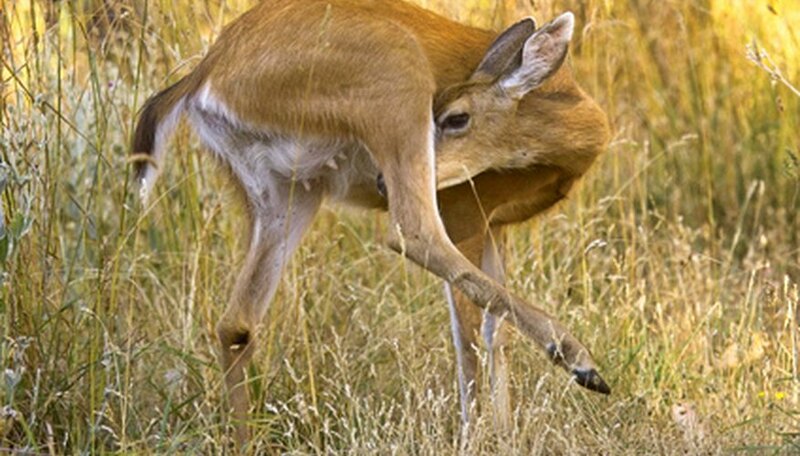 Scientists know that hair loss can occur on a deer due to rubbing and chewing on fur that is infested with lice. An infestation of muscle worms or a faulty immune system may also contribute to hair loss. Confirmed cases of DHLS have been reported in Western Washington and Western Oregon, dating back to 1996, affecting the black-tailed deer in each state, as well as the Columbian whitetail deer in Oregon. This syndrome is more likely to affect fawns and adult females, with fawns having a higher mortality rate. A surviving deer will regrow hair and put on weight during the summer. In rare cases, a deer with a compromised immune system may develop severe mange from microscopic mange mites. Many times these deer are suffering from other diseases in addition to mange. Symptoms of severe mange include hair loss all over the body, dark skin that’s thin and wrinkled, often accompanied by a foul odor. Adult winter ticks feed on deer during the winter months, and cause hair loss to the neck and shoulder areas, where deer cannot remove the ticks by grooming. Once early spring arrives, ticks fall off and hair grows back on the deer. Occasionally, tick infestation becomes so heavy that hair loss occurs all over the body. Molting is a process where a deer normally sheds its hair twice a year, once in the spring to shed its winter coat, and in later summer to shed the summer coat. Hair loss usually occurs in patches until the molting process is completed. You can distinguish normal molt from disease conditions, because a normal coat can be seen beneath the molting hair. Patricia Coldiron has been been a writer for the past five years, and has been published in Faithwriter Magazine, BoomerWomenSpeak.com, and Christian Ladies Connect. Coldiron recently completed the writing course "Breaking Into Print" from the Long Ridge Writers Group. Coldiron, Patricia. "Why Would a Deer Be Losing Its Hair?" Sciencing, https://sciencing.com/would-deer-losing-its-hair-6639922.html. 24 April 2017.